Why is Ira wearing a No. 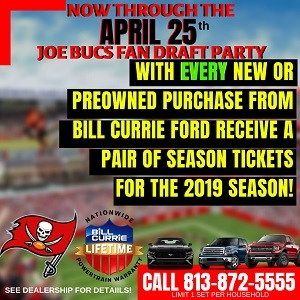 4 Bucs jersey? TAMPA TWO marches toward the Super Bowl, and in this episode Bucs legend Derrick Brooks and Ira Kaufman dive into Sunday’s games. TAMPA TWO is presented by Caldeco Air Conditioning & Heating. via The Identity Tampa Bay and JoeBucsFan.com. But wait we’re not supposed to care what Brooks has to say according to the all mighty tmaxcon and his vast knowledge of football. Even Ira can’t make that uniform look anything but ridiculous. Aints vs Pats for the Super Bowl. Pats will win and the real Super Bowl will be Chiefs vs Pats! Change the uniforms to grey and orange.